Ten Seconds – they say to cheer yourself up for the day is to stare at something yellow for 10 seconds… well, here goes! Madman – Nick Sanders takes long distance riding to another unreachable level altogether. He takes perfectly sensible sports bikes and thrashes them in a circumnavigation ofvthe globe. 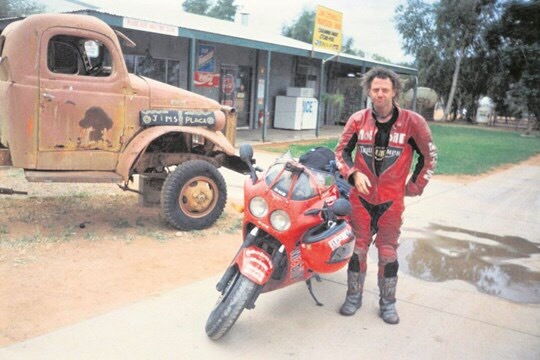 Here he stands next to his Triumph Daytona which he sped a land-orbit of the earth in 31 days back in ‘98. 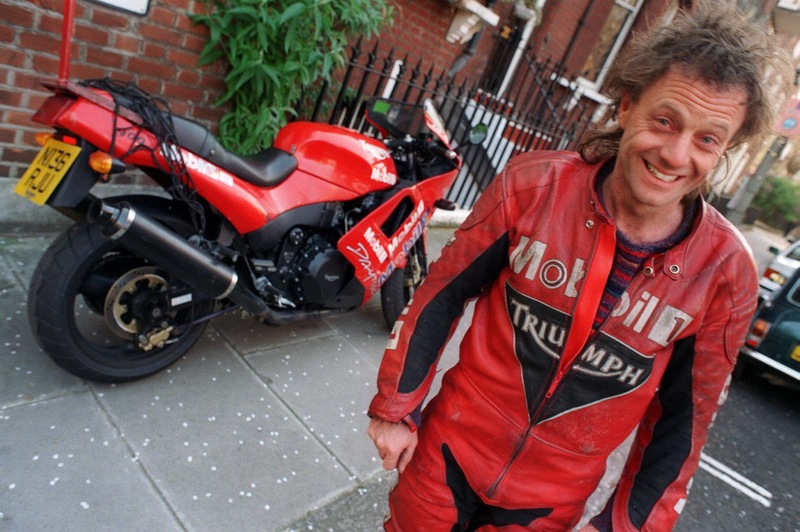 He would repeat the journey a few more times on a Yamaha R1… taking the time down to 19 days. Nutter! Normadie. 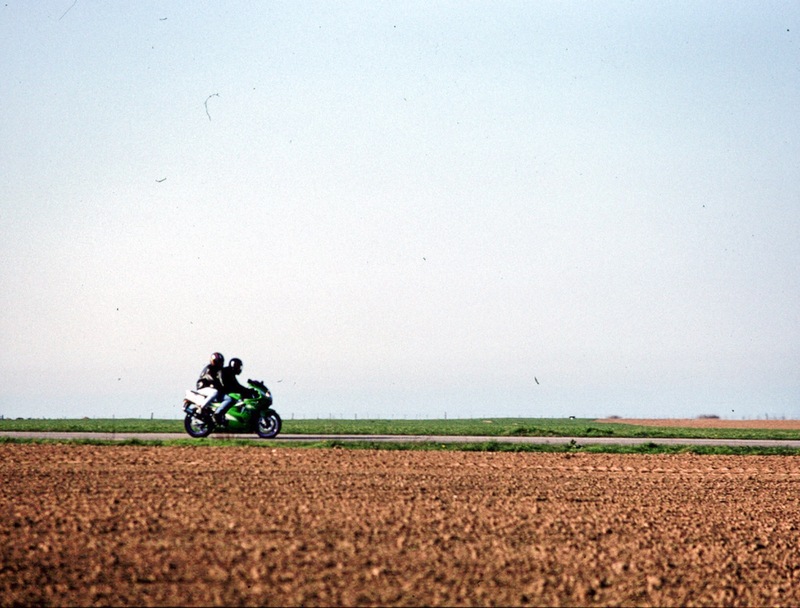 – an image taken during a weekend cycling trip along the north coast of France in ‘97. I spied this couple zooming across the countryside under crisp April skies as I took a break from pedaling the same landscape. “That’s for me!” I said to myself.